We're not exactly sure why these people are still single, because they've clearly got game when it comes to marketing themselves! 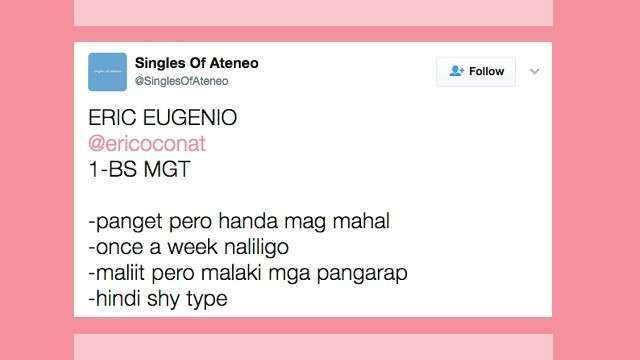 Here are 10 of the most extra profile descriptions from @SinglesOfDLSU on Twitter that would put any local politician's slogan to shame. "Will taekwondo any1 who hurts u." "Magaling mag-gitara pero mas magaling mag-mahal." "U don't need to go to Korea to find ur oppa." 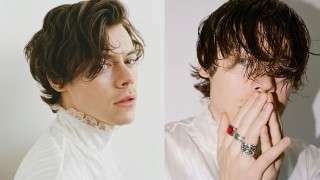 "Magaling makipagbiruan, ang puso mo ay hindi paglalaruan." "Tipid sa pera, sa pagmamahal hindi." "Short on legs pero never short sa pagmamahal." "Mautak pero di ka uutakan." 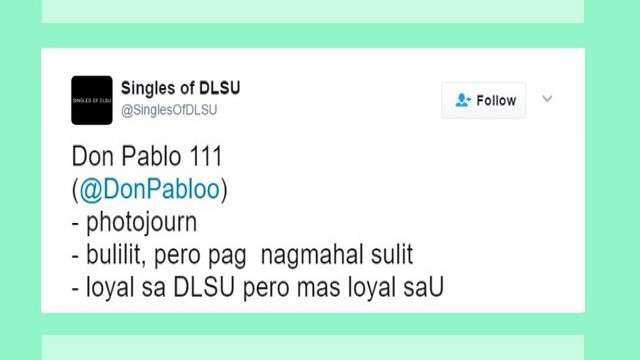 "Loyal sa DLSU pero mas loyal saU." "Akala mo lang halaman pero kung magmahal matagalan."